Powerful Blu-ray Player Software to play Blu-ray or DVD disc, folder or ISO on Windows & Mac PC. UFUShare this Blu-ray Player – A powerful blu-ray playing software that could play 4K Blu-ray Disc, 1080p/1080i/720p Blu-ray disc, Blu-ray folder (BDMV), Blu-ray ISO file and common media files and videos smoothly. 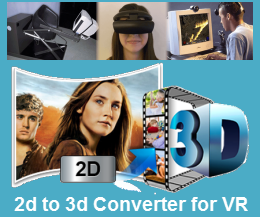 You are able to play any Blu-ray disc/ISO files directly with 4K UHD or 1080p HD visual effect and play H.265/HEVC, XAVC S, XAVC, etc encoding 4K video files losslessly on PC. What’s more, this Blu-ray Player also acts as a common media player for any HD/SD video files and you are able to enjoy the immersive audio effect. Windows Blu-ray Player works on Windows 10, Windows 8.1, Windows 8, Windows 7, Windows Vista, Windows XP. Mac Blu-ray Player works on macOS Sierra 10.12, Mac OS X 10.11 EI Capitan, Mac Yosemite 10.10, Mavericks 10.9, 10.8/10.7/10.6. Aiseesoft Blu-ray Player for Windows or Mac is able to play any commercial Blu-ray disc released in any region. Meanwhile, it supports the newly released Blu-ray movies and lets you enjoy lifelike, vivid visuals and crystal-clear details with ultra HD 4K or full high definition 1080p resolution when playing Blu-ray disc. This Blu-ray Player software also supports uhd 4k or full HD 1080p Blu-ray disc playback. You can build an incredible home theater and enjoy Blu-ray feast with the Blu-ray Player software, a computer and a uhd 4k or full HD home theater projector. If you have made a copy of Blu-ray folder or Blu-ray ISO file on your local disc, you can load it to the program and soon you will be able to watch the movies. The whole process can be finished within a few clicks. Except the Blu-ray playing function, it also acts as a free powerful video player program to play non-Blu-ray video. Any video formats, such as MP4, H.264/MP4 AVC, H.265/HEVC, MPG, M4V, TRP, TP, TS, MTS, M2TS, MXF, RM, RMVB, WMV, ASF, MKV, AVI, 3GP, F4V, FLV and VOB are highly supported. 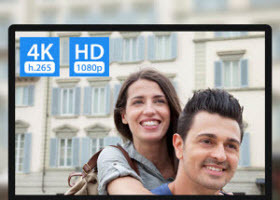 You can also use it as a free 4K/HD video player as it supports playing 4K UHD videos in MXF, MP4, H.264/MPEG-4 AVC, XAVC S, XAVC, H.265/HEVC, TS, MKV, AVI, MOV, FLV and WebM formats. With this amazing player, you could get wonderful HD video watching experience and fully enjoy the HD entertainment on Blu-ray disc whether it’s DTS-HD Master Audio or Dolby TrueHD. 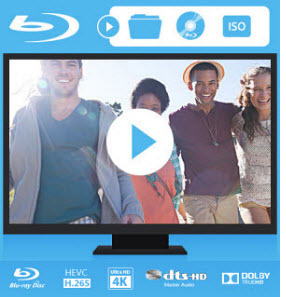 With 100 percent lossless audio and dramatic high-definition (HD) surround sound, this Blu-ray Player software ensures you hear every nuance of Blu-ray movies without any loss of quality. And it aims at making life much simpler. It starts quickly and is very easy to use. Just follow the instructions and a few clicks can you get familiar with it. In addition, the interface of this video player is friendly and comfortable, giving users the best entertainment experience. Select audio tracks and subtitles: While playing a Blu-ray disc with Blu-ray Software Player, you are allowed to select your favorite audio track and subtitle. Convenient: Blu-ray Player is specially designed to make Blu-ray discs playable on personal computers. You can enjoy it on your own computer. Enjoy bloopers: If you are a bloopers fan, this media player software will fulfill your curiosity. Choose titles and you can find interesting film bloopers. Snapshot wonderful moments: With the help of Snapshot function, you can grab your favorite moment and save it as image file in the form of JPEG. May I know UFHShare player support to play UHD Blue-ray disc? Hello, some uhd blu-ray disc supported, and the technical support team are always hard working on it to make all uhd disc supported. How to extract/convert DVD movies to MP2 files on Windows or Mac?